When it comes to polycystic ovarian syndrome (PCOS), it is widely known that the medical condition may have a profound impact upon a woman’s fertility. In addition to the implications on a woman’s ability to conceive, PCOS may also play a crucial role during nine-months of pregnancy and a women’s ability to safely deliver her newborn. PCOS is a hormonal imbalance that impacts roughly 10 percent of all child-rearing aged women and is the most common type of hormonal imbalance impacting women. Typically, the body of a stricken individual produces an imbalance of the reproductive hormones. In addition, PCOS often precipitates increased production and excessively high blood concentrations of another important hormone called insulin. In many instances, this disorder develops when a woman enters puberty. Manifestations typically correlate to the hormonal imbalances present. Usually, manifestations include irregular menstrual cycles that either last longer than the average period would or include longer durations between the onset of ovulation cycles. Women with PCOS might also experience more significant levels of bleeding during these periods. In many cases, women may also develop enlarged or cyst-laden ovaries. Should insulin levels rise to significant enough extents, diabetes can also result. Should this malady not be properly diagnosed and treated, fertility issues can arise. That said, having PCOS does not mean that pregnancy cannot occur, it can however make conception more difficult. PCOS is one of the most common and treatable, causes of infertility in women, however in most every instance, the presence of the ailment can increase the risk of developing several complications during pregnancy. PCOS places women at an increased risk of not carrying babies to full-term. The likelihood of miscarriage is three times higher in early pregnancy! It is believed that the increased male hormones affect egg quality. Insulin resistance can also be a possible cause of miscarriage. Due to the fluctuating hormones and increase in insulin, this disorder can result in gestational diabetes and is known to precipitate babies born with exceedingly significant birth weights and may leave motherat risk of developing chronic, type II diabetes after giving birth. Medically referred to as pregnancy-induced high blood pressure, this ailment can threaten the overall well-being of both mother and unborn child. In severe cases, it can attack liver, kidneys and brain. Prematurely born infants are at more significant risk of developing a host of illnesses and birth defects than those carried to full-term. 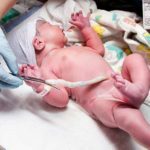 Women whose PCOS is severe or who have larger than normal babies due to gestational diabetes might be required to undergo C-Section surgery to ensure their newborns are delivered safely. Sometimes, PCOS might be brought under control by rebalancing hormonal levels. Specific control actions could depend upon the severity of the condition. However, effective methods may include augmenting diet with nutritional supplements, altering diet or through the use of medications. Reaching a healthy weight, partaking of a healthy balanced diet and proper exercise prior to conception can help women, during their pregnancy to gain a healthy amount of weight during pregnancy and avoid acquiring diabetes. Gestational diabetes may pose the most significant health threats to expecting mothers with PCOS, as well as the greatest pregnancy and delivery complications. Doctors urge stricken women to carefully monitor their blood sugar levels and initiate immediate and aggressive corrective measures should they be too high. While PCOS can indeed affect a pregnancy, the biggest hurdle for women with PCOS occurs while trying to conceive and actually getting pregnant. Beyond that, keeping a healthy lifestyle, maintaining healthy habits throughout pregnancy and staying in contact with a doctor to monitor any PCOS symptoms can allow a woman to have a healthy pregnancy and healthy baby.